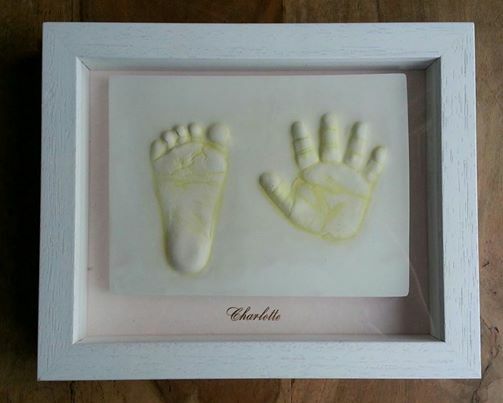 3D and 2D handprints and Footprint are the perfect gist for any new mummy. My brother has recently become a Godfather. He asked me what would be a good gift. I was looking for something different and I just could not think of anything until I stumbled upon Laura’s Treasured 2D and 3D handprints and footprints. 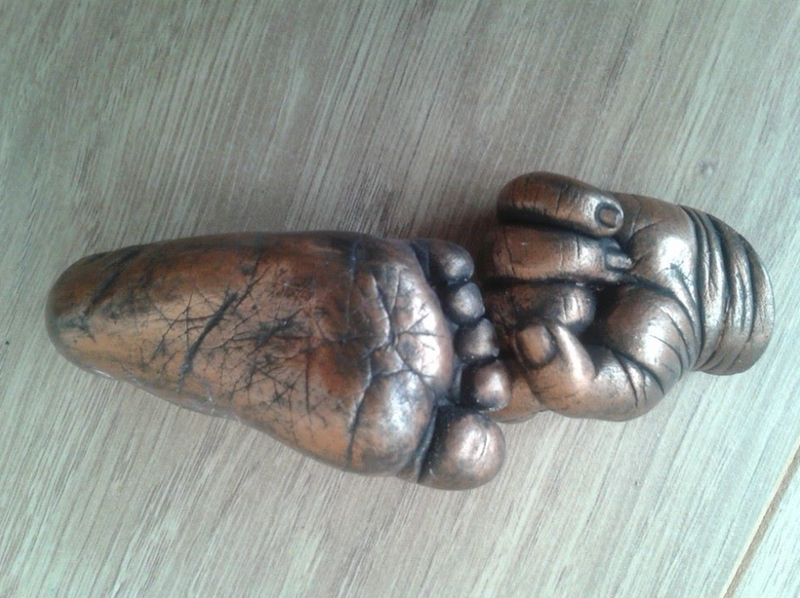 Her hand made gifts are the perfect gift for any parent, I particularly love the bronze finish which really adds. Whats really amazing is the moulding material that Laura use to make wonderful detailed casts, is natural and totally safe even for the tiniest babies. The moulding material Laura uses to make the detailed 3D casts, is natural and totally safe for the tiniest babies. Laura is gentle and soothing and babies respond very well to her voice and soft touch. The baby’s foot or hand is placed in a cup of moulding material which is luke- warm and lovely and squishy so your baby will not even notice. If it is an older child, they will love the process. Taking the actual cast is very quick (less than 2 mins), but Laura sessions last 40 minutes.Â Laura will then hand- finishÂ the casting, she isÂ always very careful to identify every line and fold in tiny hands and feet to create a beautiful final 3D cast of your baby’s foot or hand for you to keep forever. Â To produce 2D printÂ Laura uses a special clay to make a individual detailed imprint of the palm of a hand and the sole of the foot to produce wonderful 2D handprints or footprints. Again the process only takes Laura a couple of minutes and is totally safe. 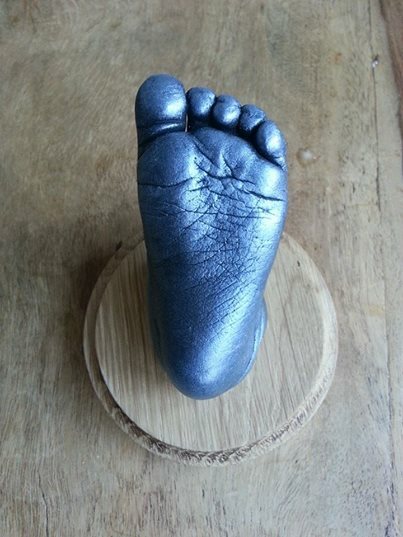 Your baby’s hand or foot is very gently pressed into the special natural clay. Laura will then make a plaster outprint of the impression and hand- paint and finish your unique footprint or handprint. This gives a 2D effect and shows all the tiny details.